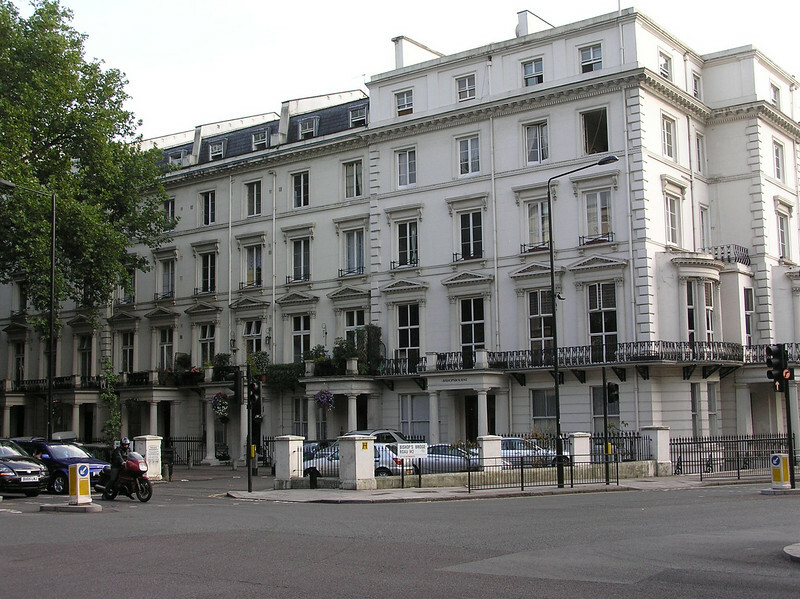 This is 17 Highbrow Street from The Great Muppet Caper. This is where Miss Piggy claimed to live in order to keep Kermit thinking that she was Lady Holiday. 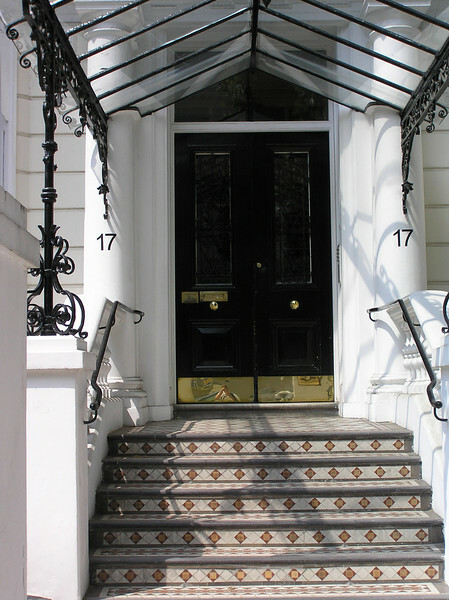 The house number is actually number 17, which makes sense. 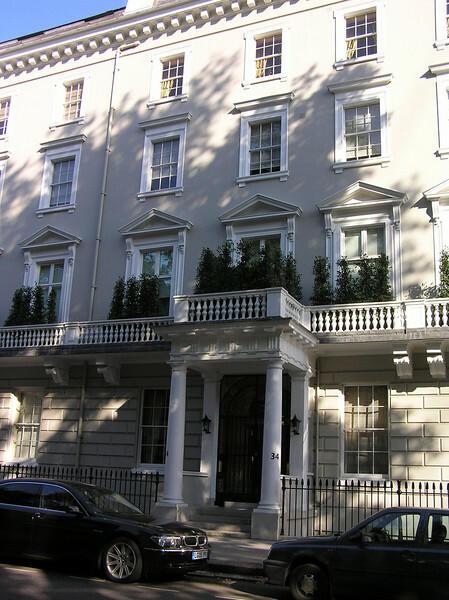 Despite Miss Piggy claiming to live here, it was actually the home of Neville and Dorcas, played by John Cleese and Joan Sanderson. Miss Piggy had to sneak in through a window after climbing up the left side of the building. 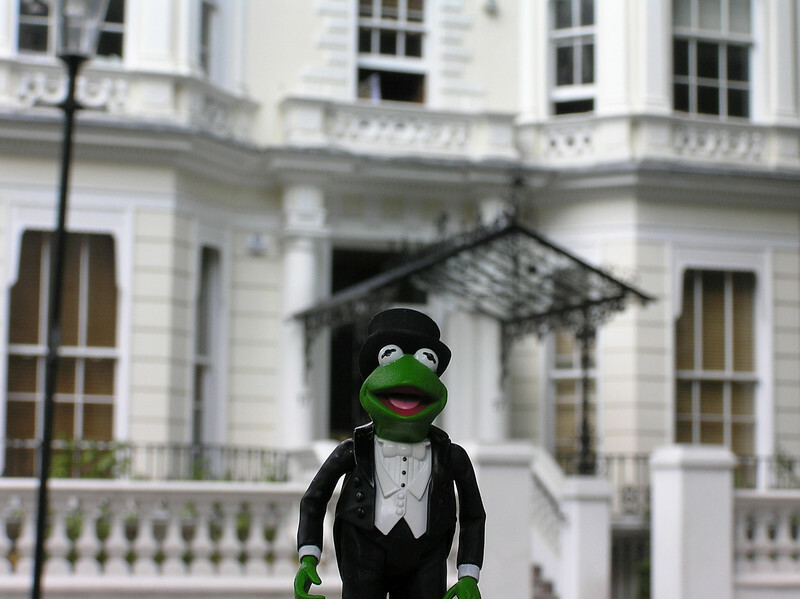 Kermit, dressed in his tuxedo, picks up Miss Piggy on their way to the Dubonnet Club. 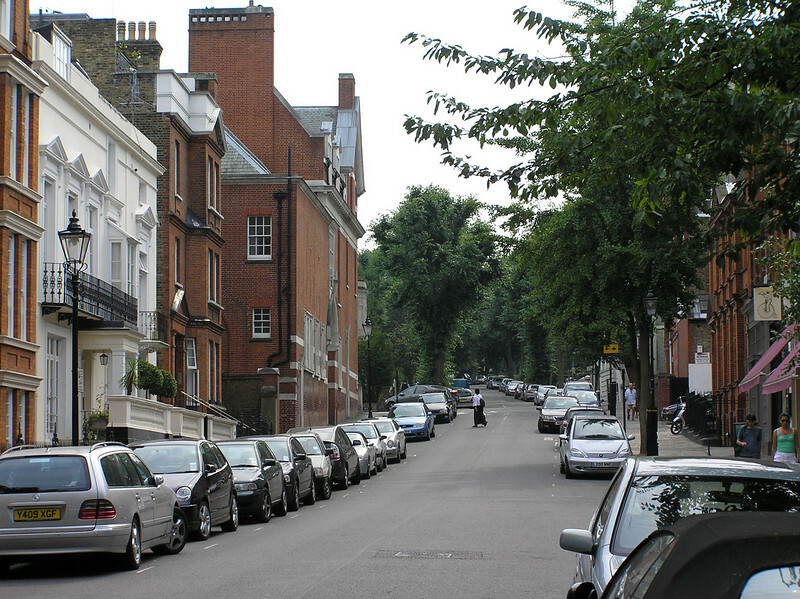 A look up Highbrow Street. Upon arriving in London (and after checking in at the Happiness Hotel), Kermit, Fozzie and Gonzo came here to interview Lady Holiday. After leaving Lady Holiday's office, Gonzo jumped out into the street here in order to stop Beauregard's cab. 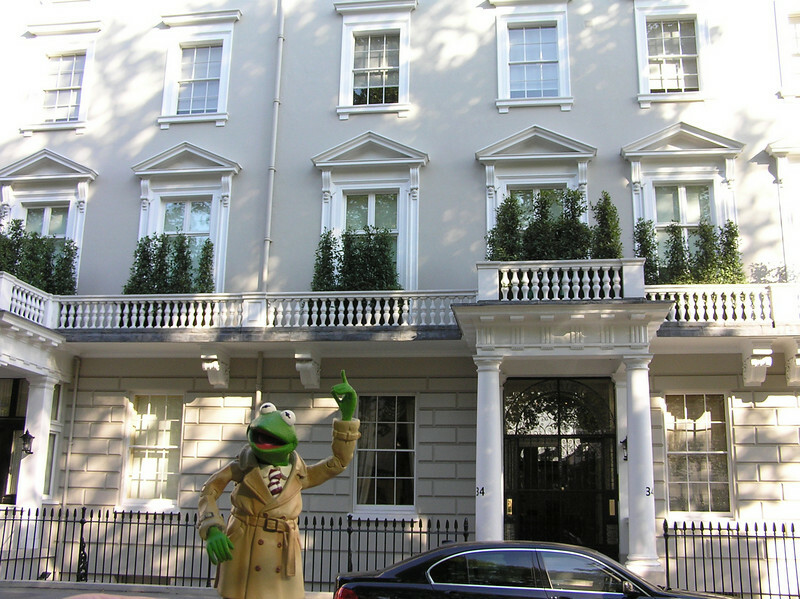 Reporter Kermit tries to hail a cab outside of Lady Holiday's office. 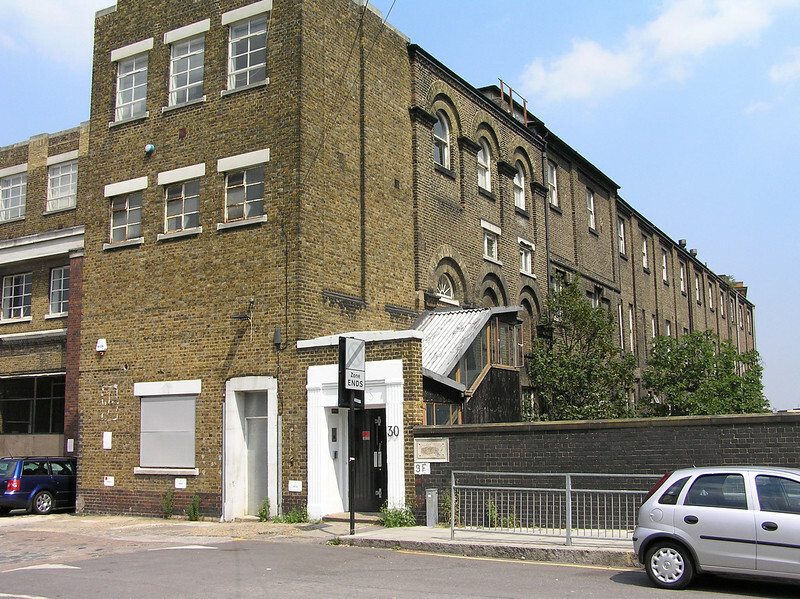 At the end of Oval Road is (was) the Creature Shop. I just kept this photo in here to show a little bit of the neighborhood. 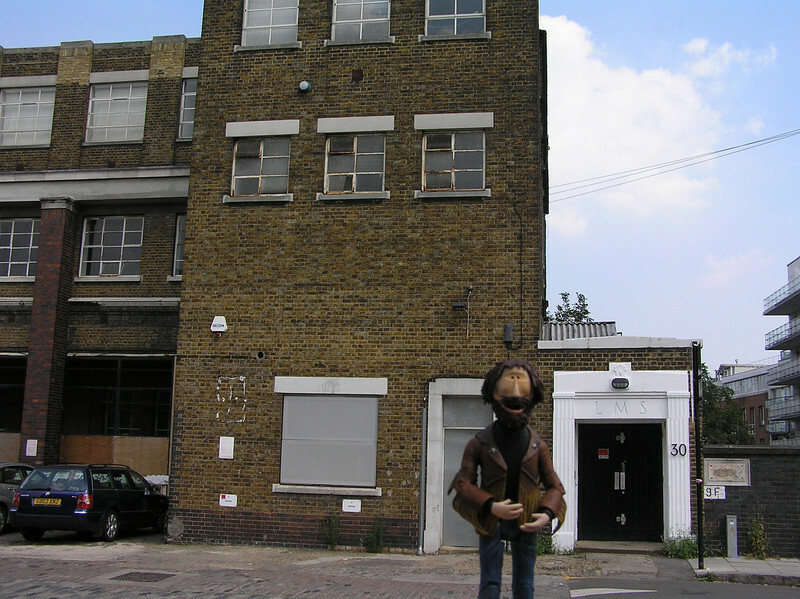 Here is the building that was, until recently, Jim Henson's Creature Shop. I cut out the Viacom van on the left, but that's who owns the building now. 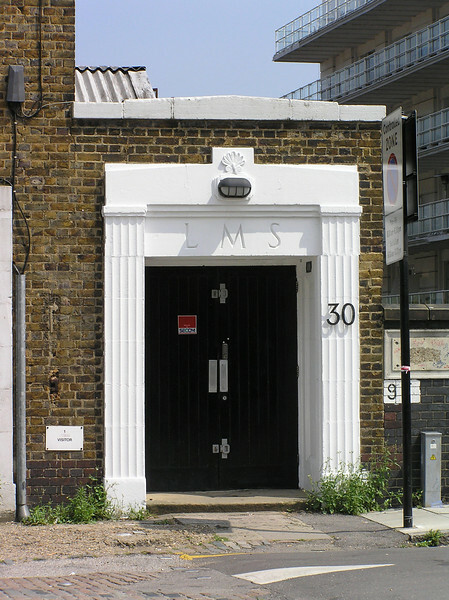 Here it is, the entrance at 30 Oval Road. There were quite a few people walking in and out, but sadly they were not Henson employees. The other side of the Creature Shop. 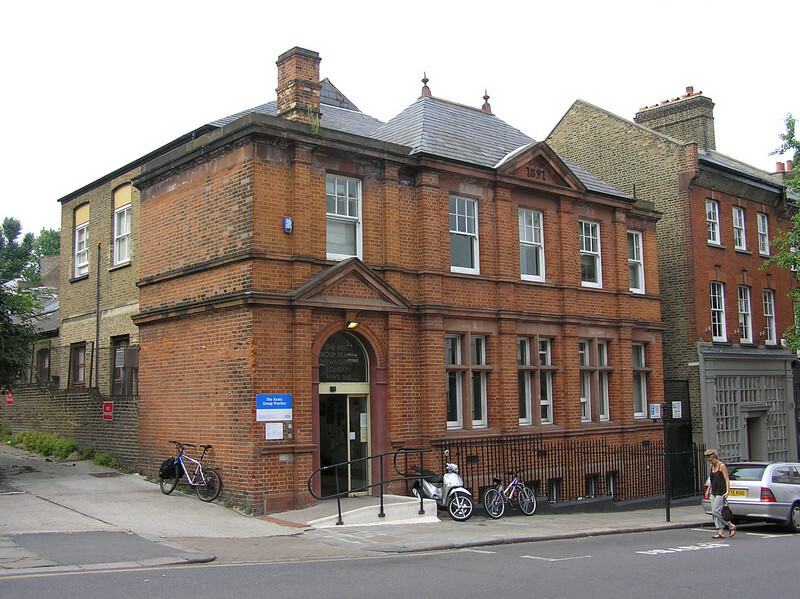 This side of the building should look familiar to those who own "No Strings Attached", although the photo in that book is taken from the other direction. 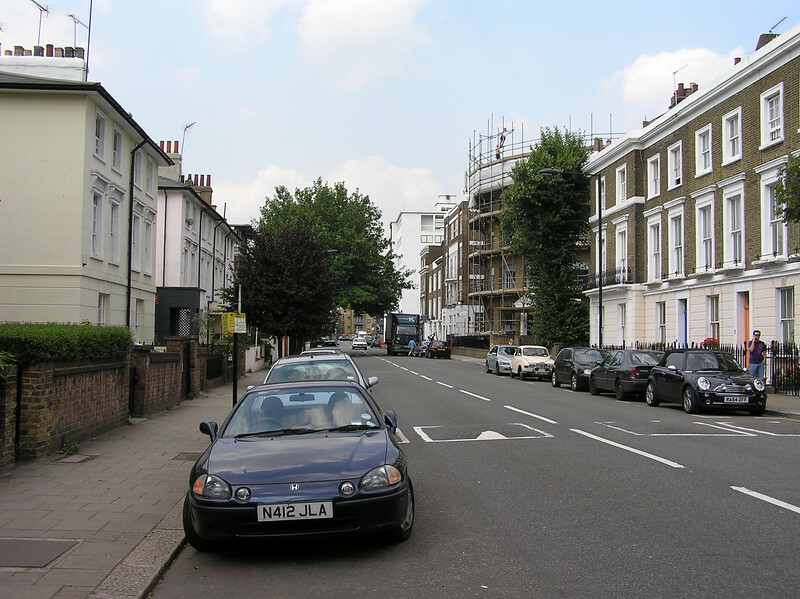 This photo, along with the next two, are to show a little more of the neighborhood. 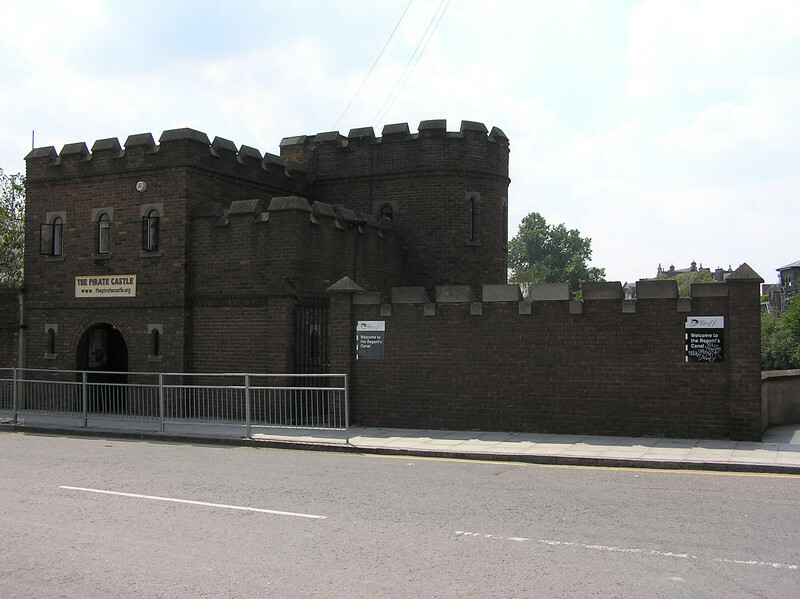 Directly across the street from the Creature Shop, the Pirate Castle has acted as a clubhouse for young boaters since 1966 and can now be used as a meeting venue for community groups and charitable organizations. 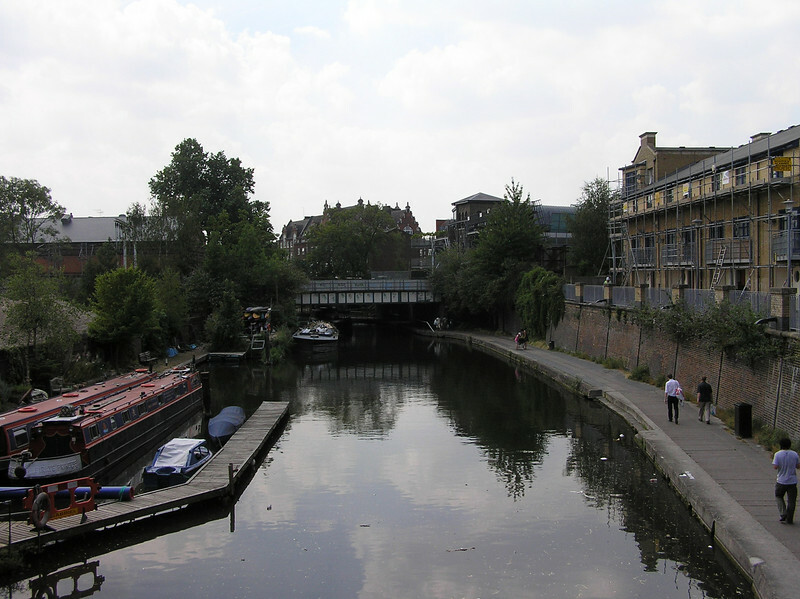 The Creature Shop stands next to Regent's Park Canal, which runs through Camden. This is a shot from across the street, just to the right of the Pirate Castle. Jim at the Creature Shop. 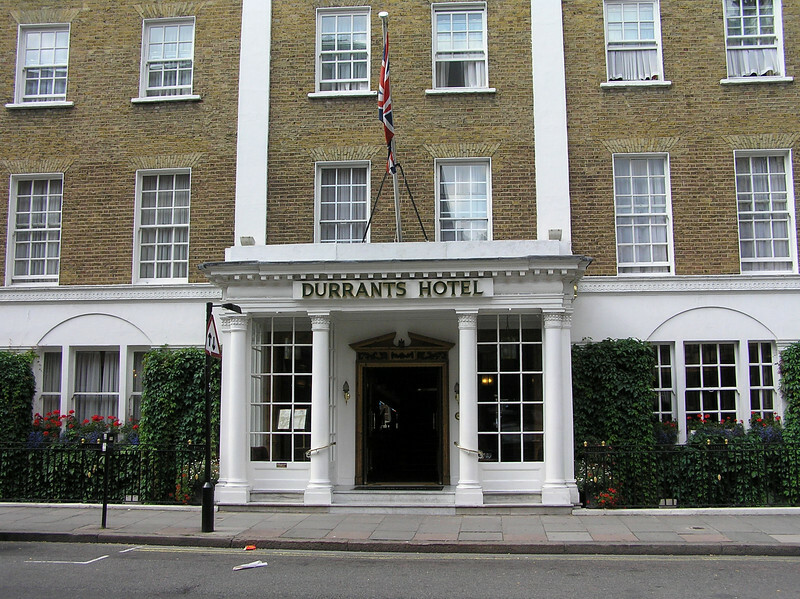 I was told by the Henson archivist that this hotel was used for the exterior of the Dubonnet Club in The Great Muppet Caper, but I'm not entirely convinced. For now, I'll assume that a lot has changed in the past 25 years. 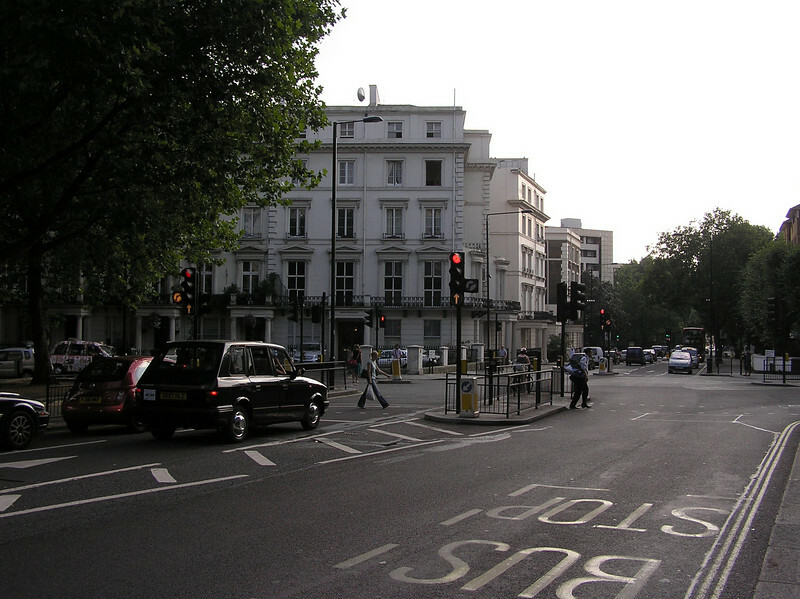 If this is indeed the Dubonnet Club, then this is the street the Mayhem bus was on while driving up to the club entrance (in a very brief scene). 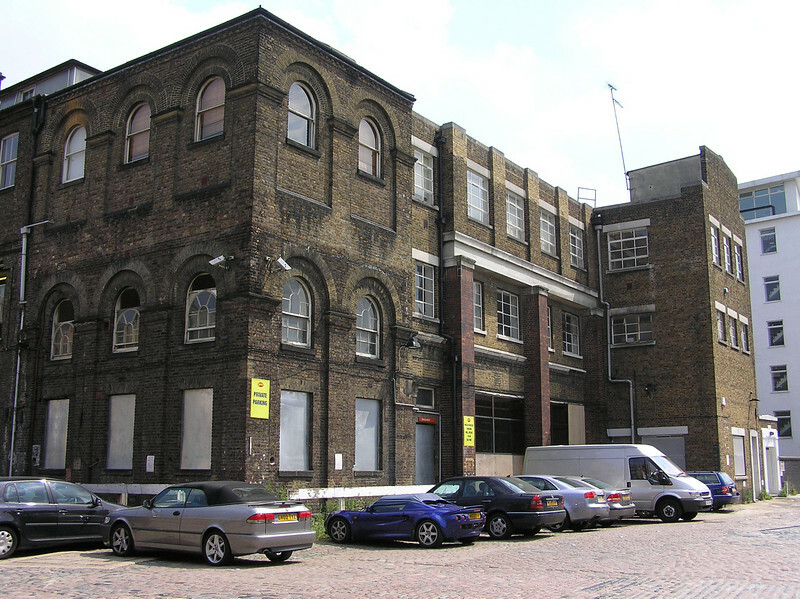 This is the building that was used as the exterior of the Happiness Hotel in The Great Muppet Caper. The building is a lot larger than it appears in the movie. 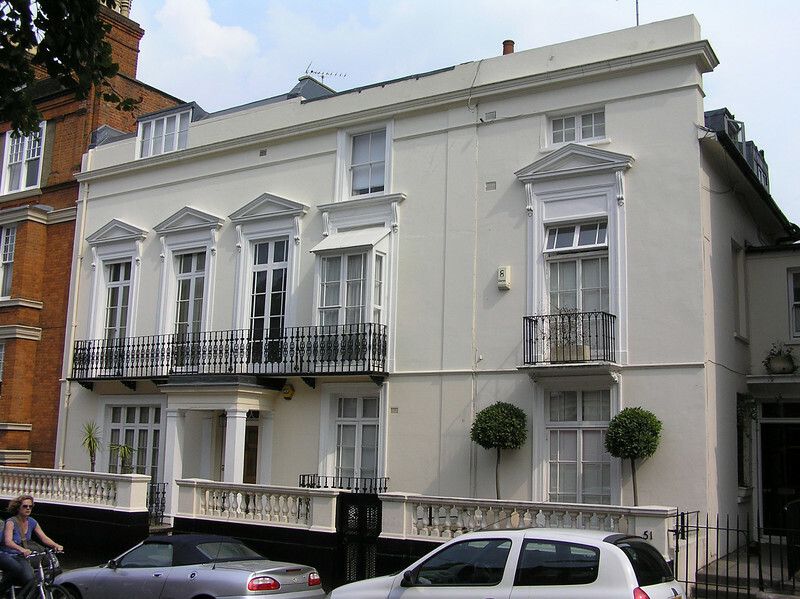 At the time of filming it was the Gloucester Hotel, but I believe it is currently private apartments. 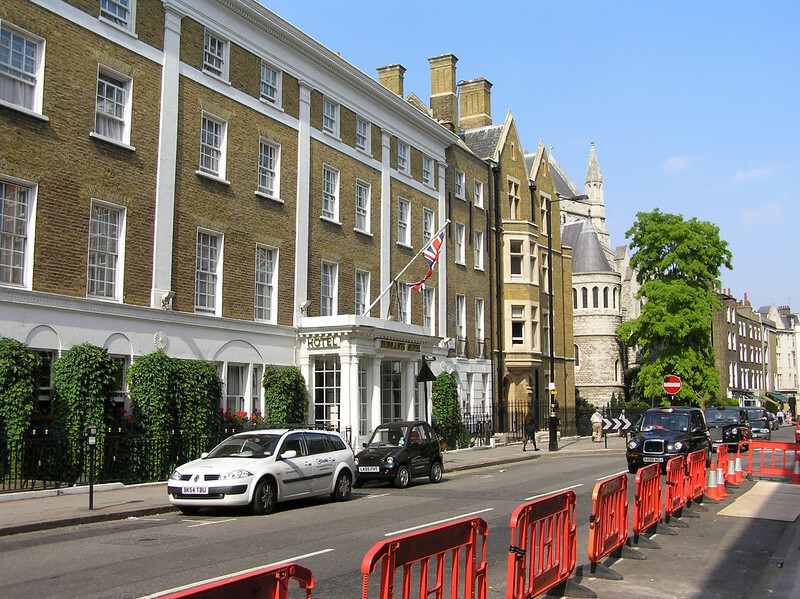 A look up the street that passes by the Happiness Hotel. Beauregard U-turned through this intersection into the hotel parking lot. 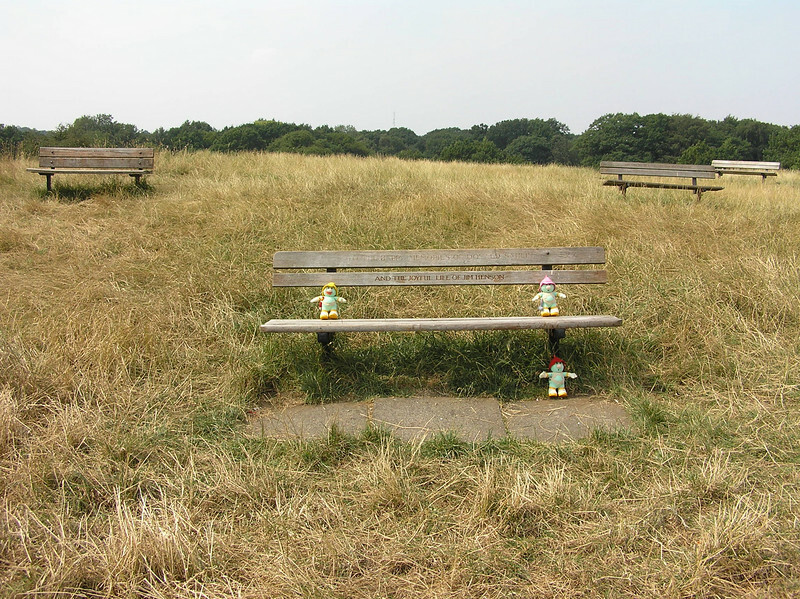 A place that Jim Henson frequented, Hampstead Heath is a public open space very close to his Hampstead home. 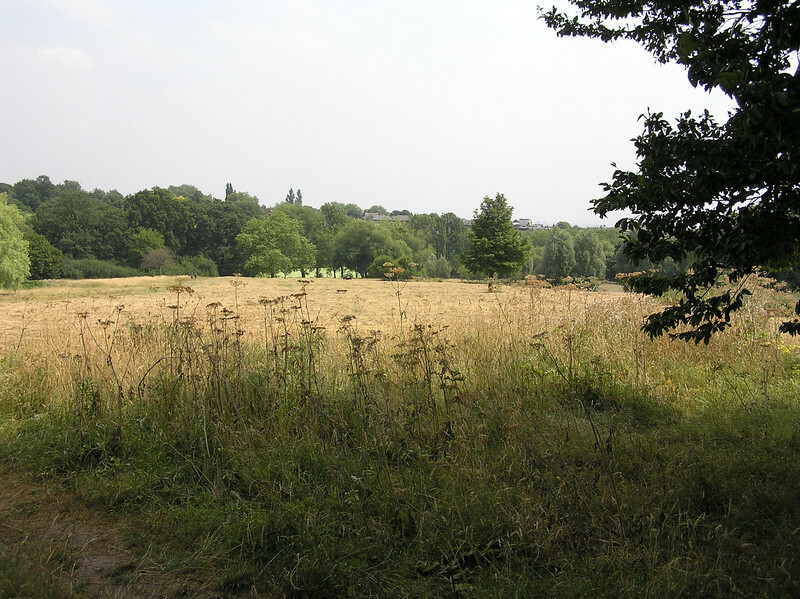 The Heath covers 791 acres, which includes "25 main ponds and areas of ancient woodland, bog, hedgerows and grassland." 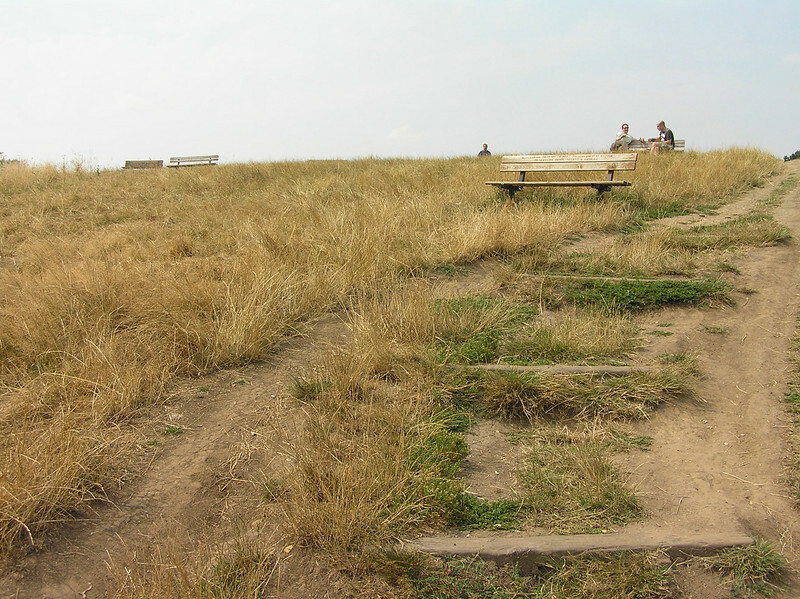 It may be too small to see, but the sign on the left marks the beginning of the Parliament Hill trail. 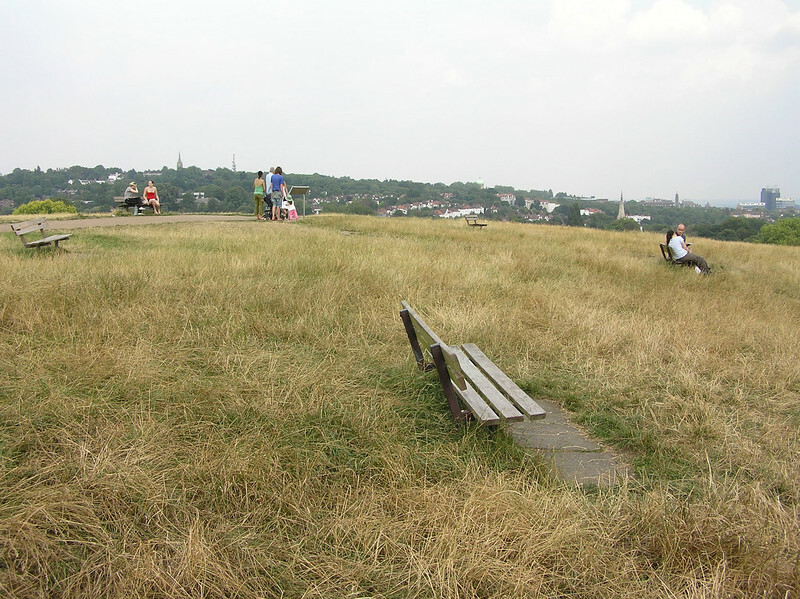 Parliament Hill is one of the highest points in London and is where one can find the Sahlin/Henson bench. 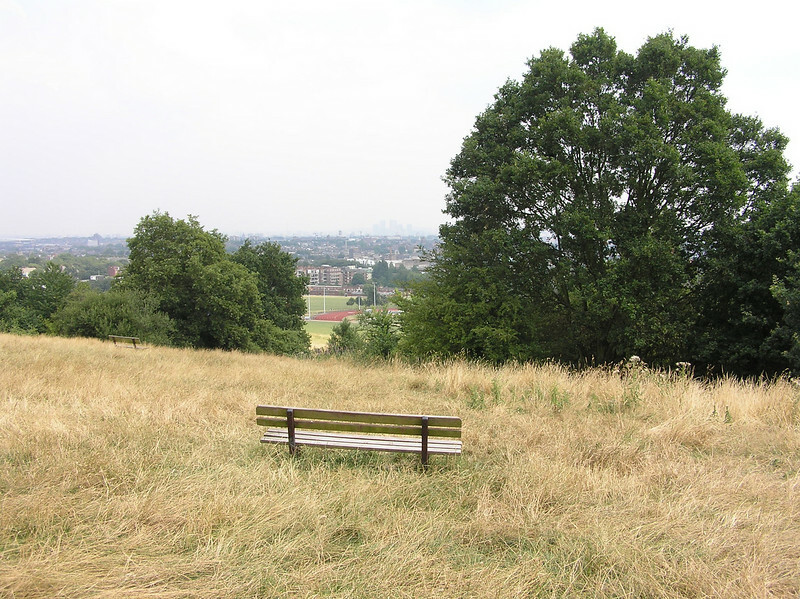 The were several benches at the top of Parliament Hill, each with a dedication engraved upon it. As one of the highest points in London, it offers a nice view of the city below. 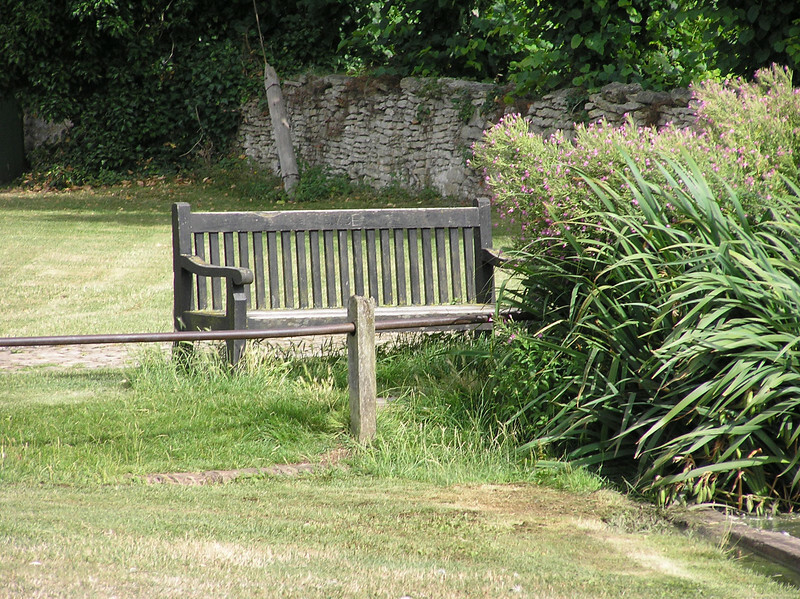 It took a while to find the bench I was looking for, as many of the benches were being sat upon. But once the various occupants left, and I was able to read the dedications, I found the right one. Don Sahlin started working with Jim Henson around 1962 and soon became Jim's main designer and puppet builder. 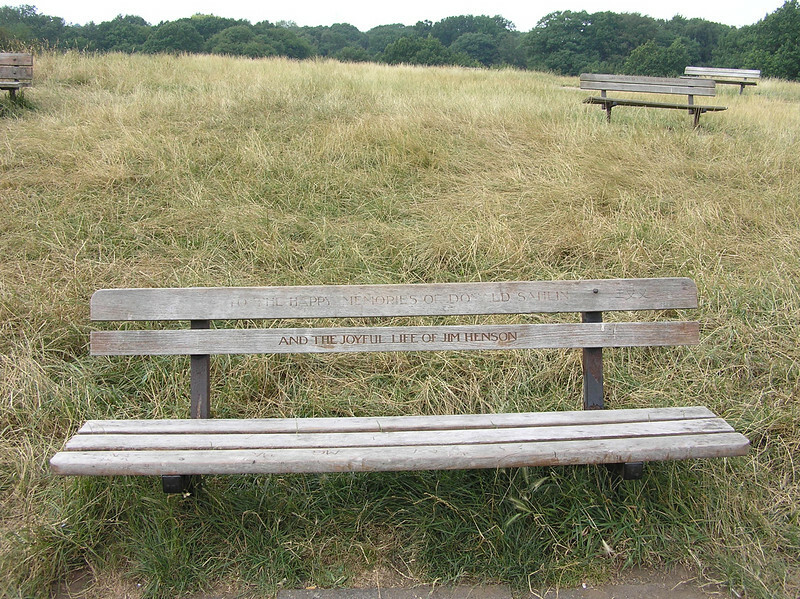 When Don died in 1978, Jim had this bench inscripted in his honor, on Don's favorite spot in Hampstead Heath. 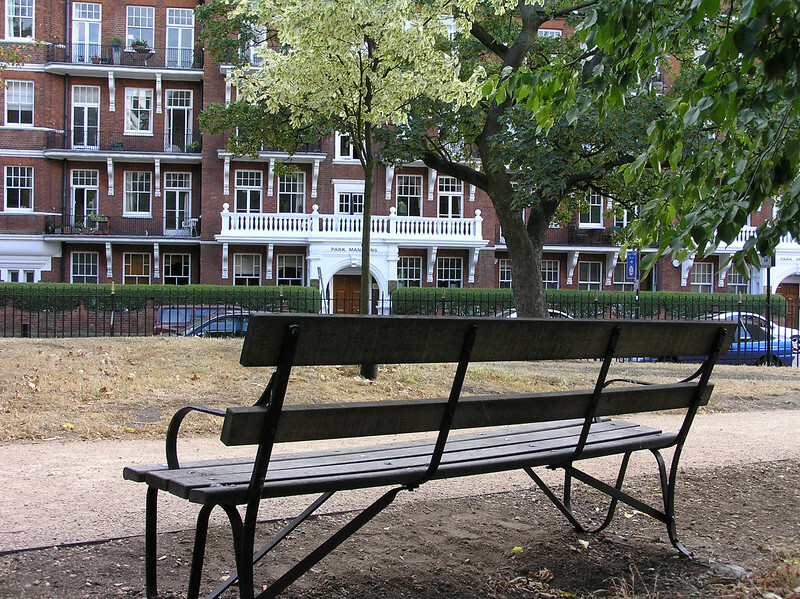 The bench was also dedicated to Jim after his death in 1990. There's another good view looking east from the top of Parliament Hill. 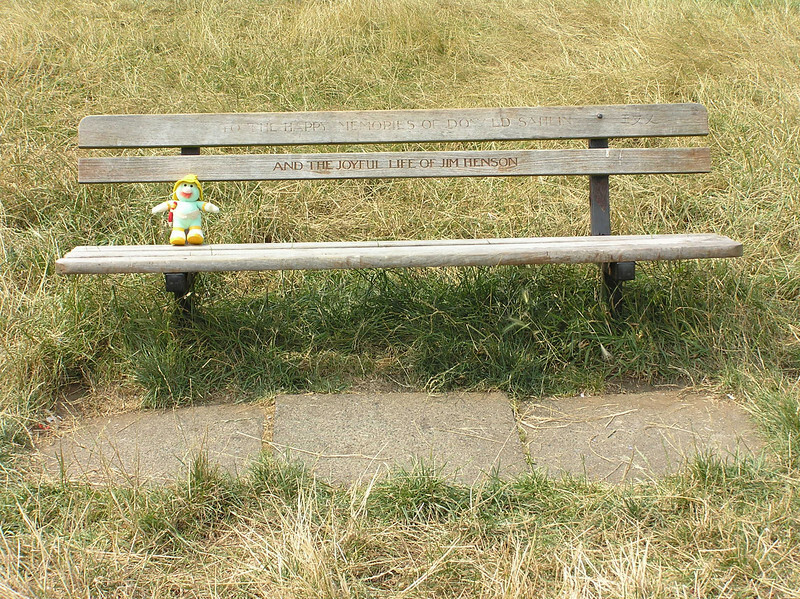 Don's bench has been credited as the inspiration for coming up with the name 'Doozers' for the small workers of Fraggle Rock. So I set up my own little tribute. 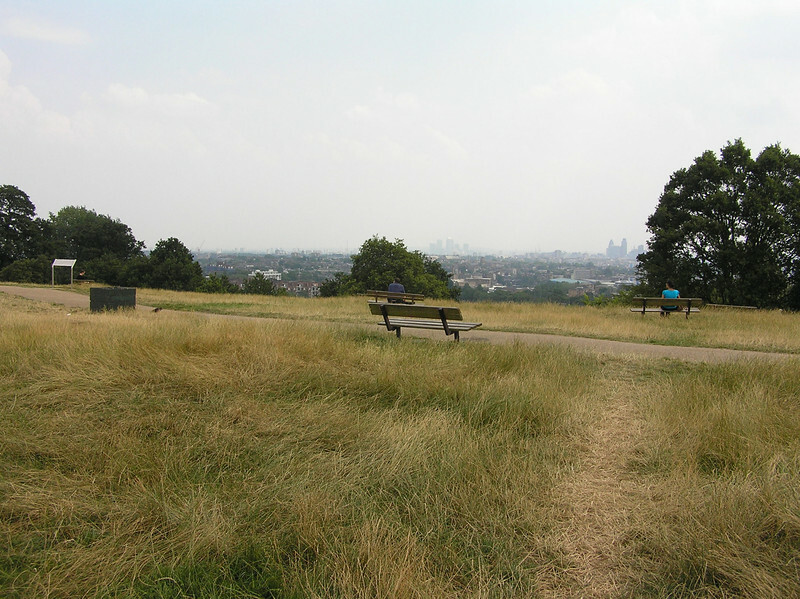 "It was a lovely day, so we decided to clear our minds with a walk on Hampstead Heath. Jim and I walked together, deep in thought. He occasionally said, 'Hmmm...,' but that was about it until we reached the bench which Jim had dedicated to Don Sahlin, a Heath-lover like himself. 'Want to sit on Don's bench?' asked Jim. So we did. At the same time. And the minute we both touched wood, we said, out loud, simultaneously - Doozers! Perfect name! 'I knew Don would figure out a way to work on this show.' said Jim. So we thanked him and went back to work." 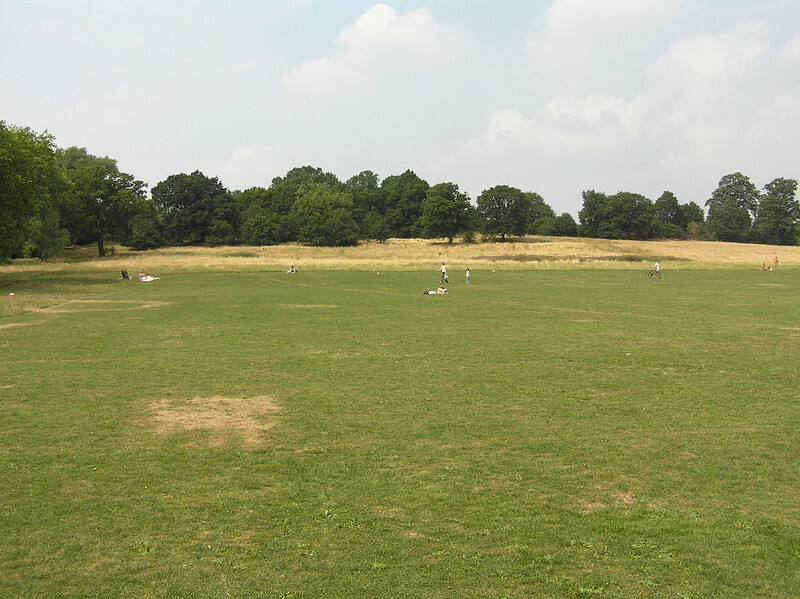 As I walk down Parliament Hill I begin to see the athletics fields at the southern end of Hampstead Heath. You can see London a little better in this photo. A look back up the hill. 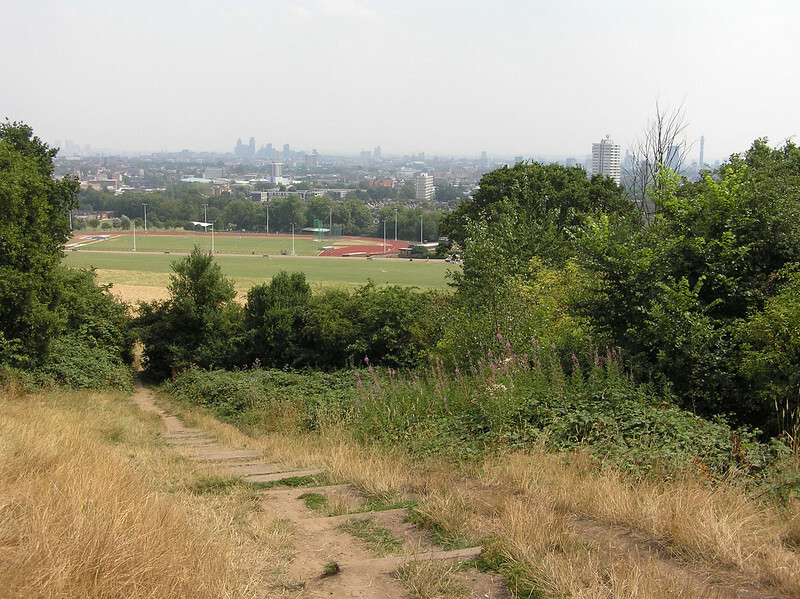 Looking north from the south side of Hampstead Heath. The Sahlin/Henson bench is just beyond the trees. 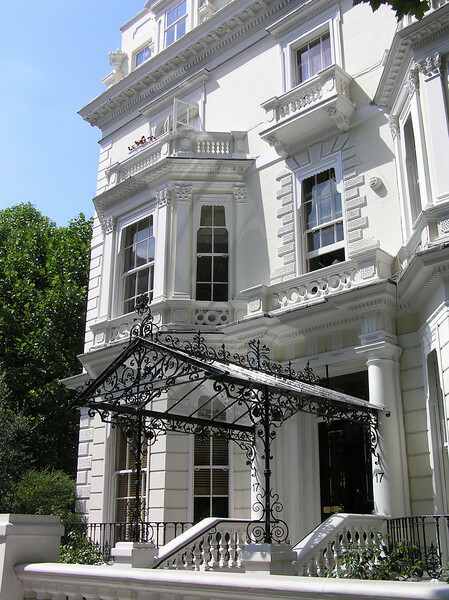 Jim Henson's England home, still owned by the Henson family, is just off the main street of Hampstead on Downshire Hill. 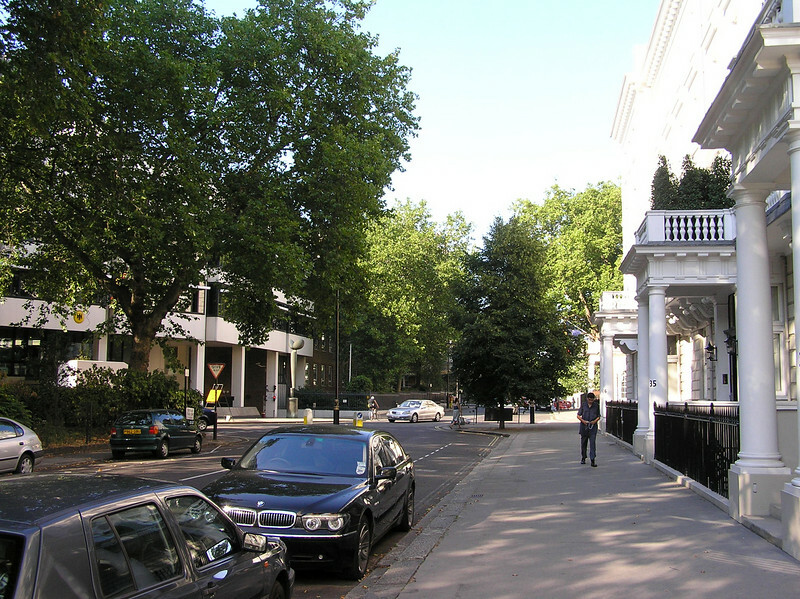 It is the white house on the right side of the street. 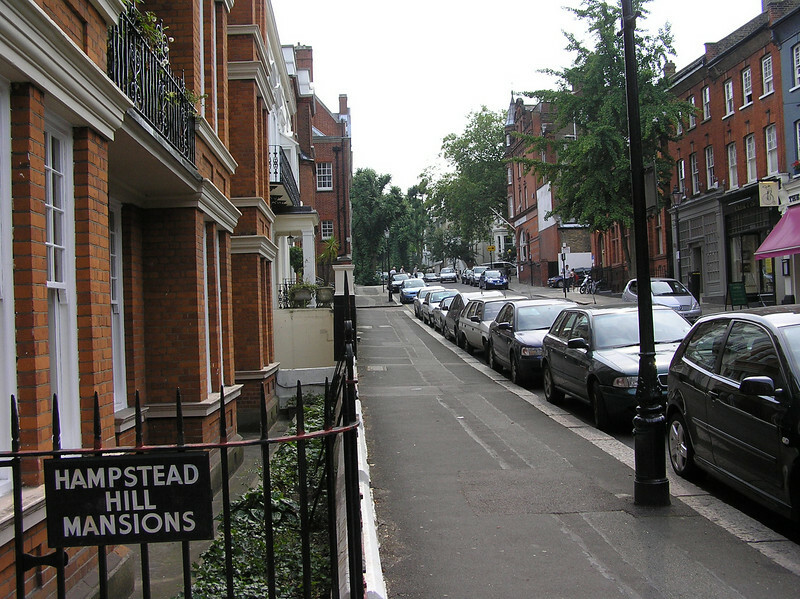 Looking back up towards Hampstead's high street, Jim Henson's house can be seen among the other Hampstead Hill mansions. It is the white one peeking out on the left. The original Creature Shop was just across the street from Jim Henson's home. 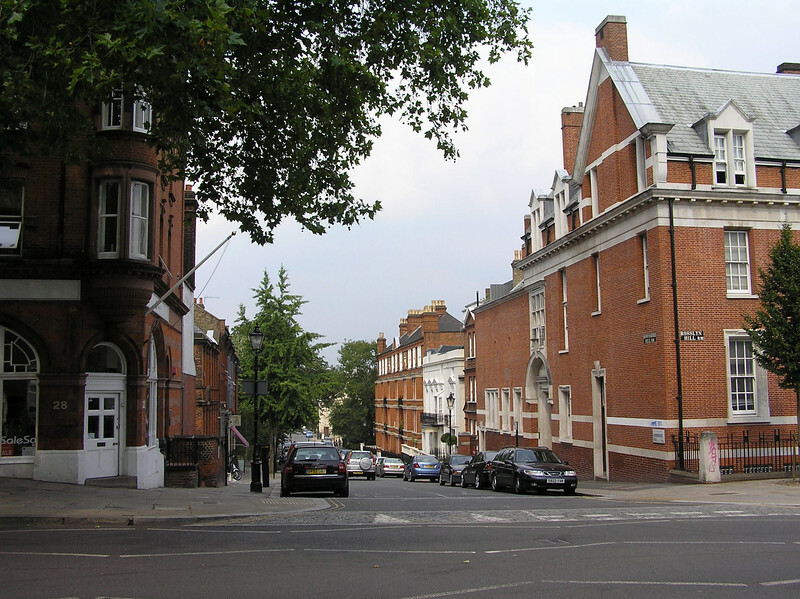 In this photo, it is the first red brick building on the right. 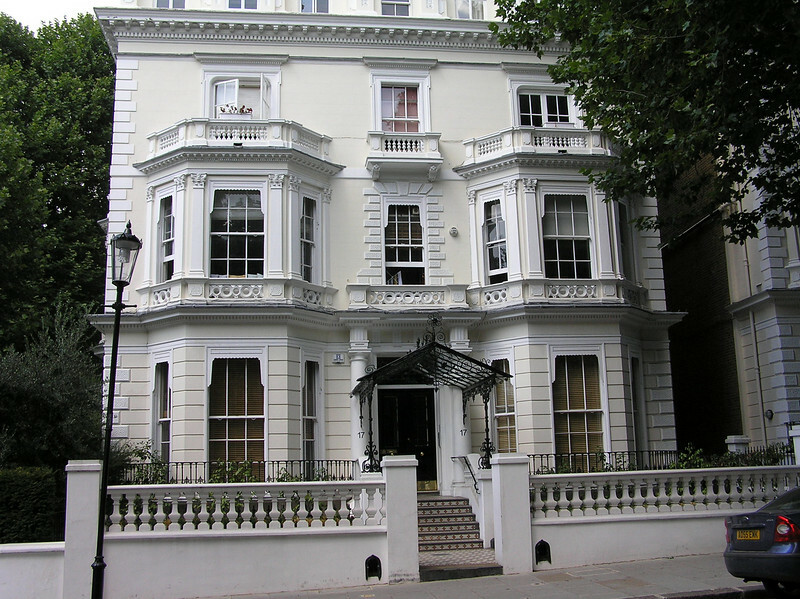 This was Jim Henson's home when he was living in England. It is still owned by the Henson family. 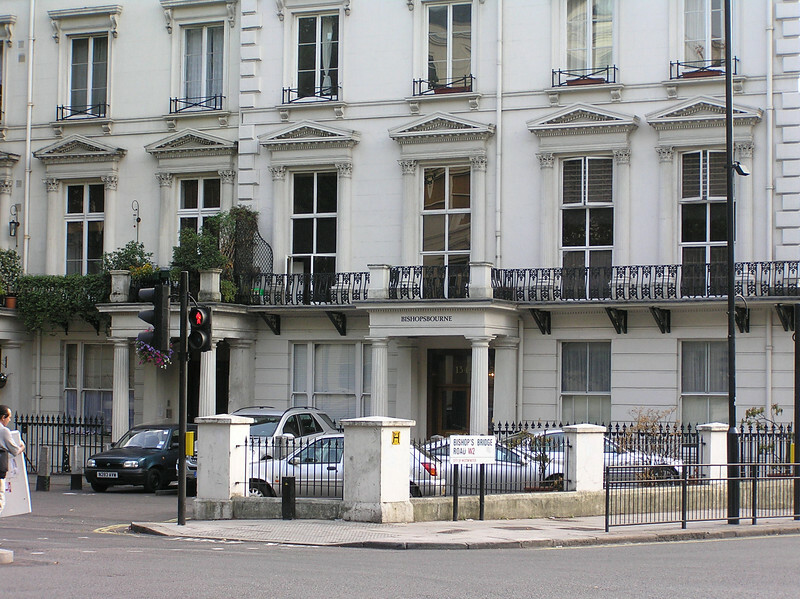 This is the original Creature Shop on Downshire Hill. 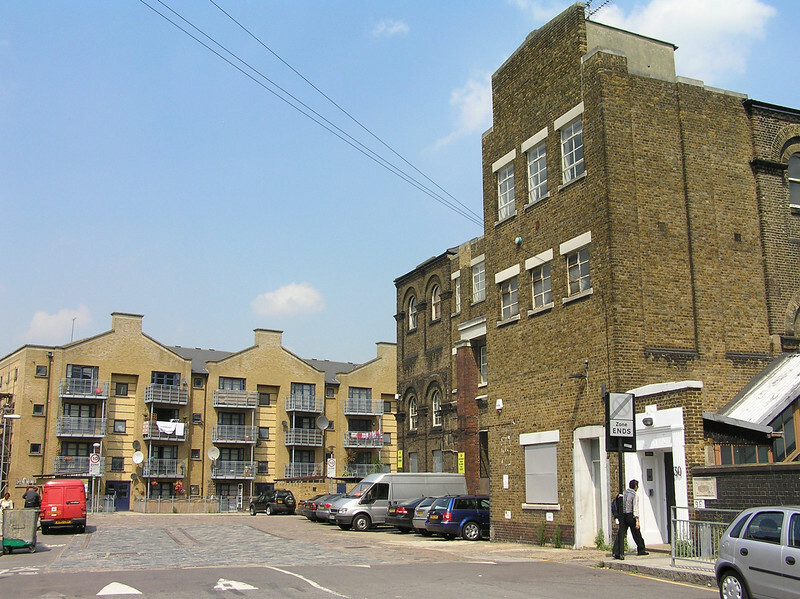 The business ultimately outgrew this small building and relocated to the well-known Camden shop. 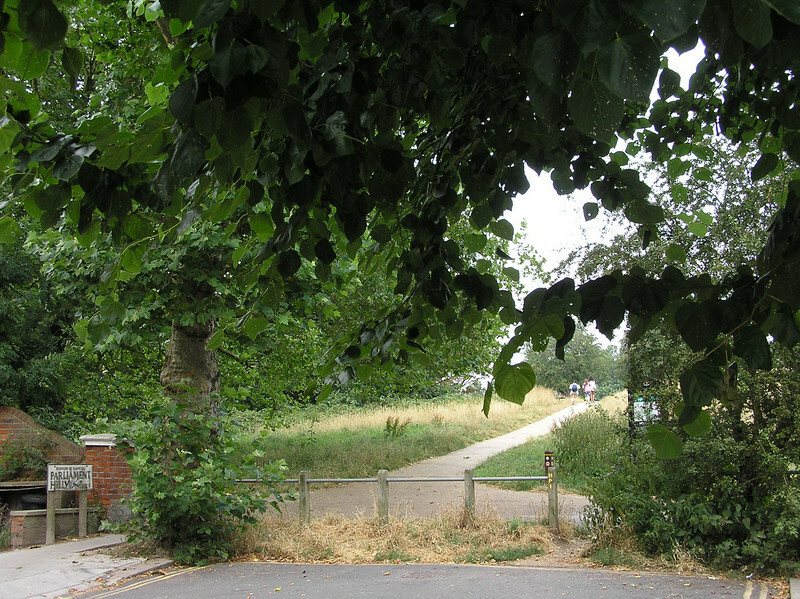 The popular bicycle scene from The Great Muppet Caper was filmed in Battersea Park. 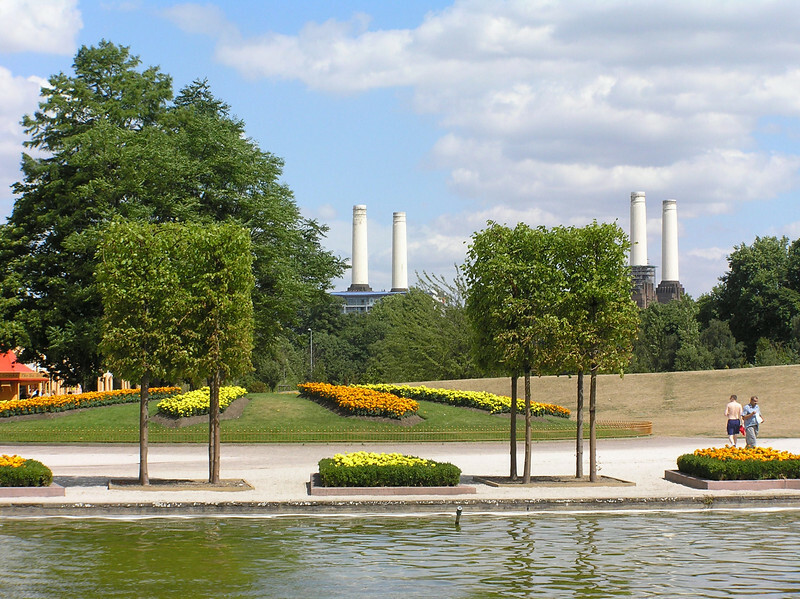 Battersea Power Station can be seen in the background. This scenery probably looks more familiar than that in the previous photo. I can't say that this is the specific path the Muppets cycled on, but it is at least similar. 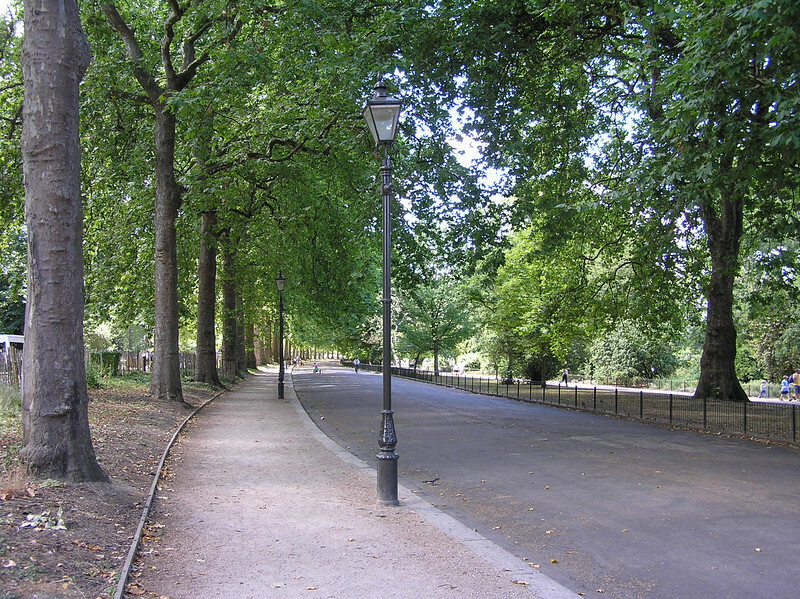 I had a very tough time finding any of the exact filming locations within Battersea Park. I think I had difficulty for a couple of reasons. One, it was a long time ago. And two, I think various props were brought in, such as special benches for the glass slipper scene and for Statler and Waldorf. 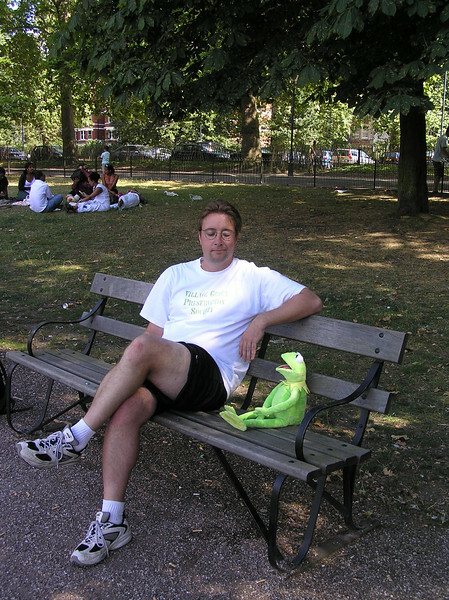 So eventually I just set up my own photos with Kermit. 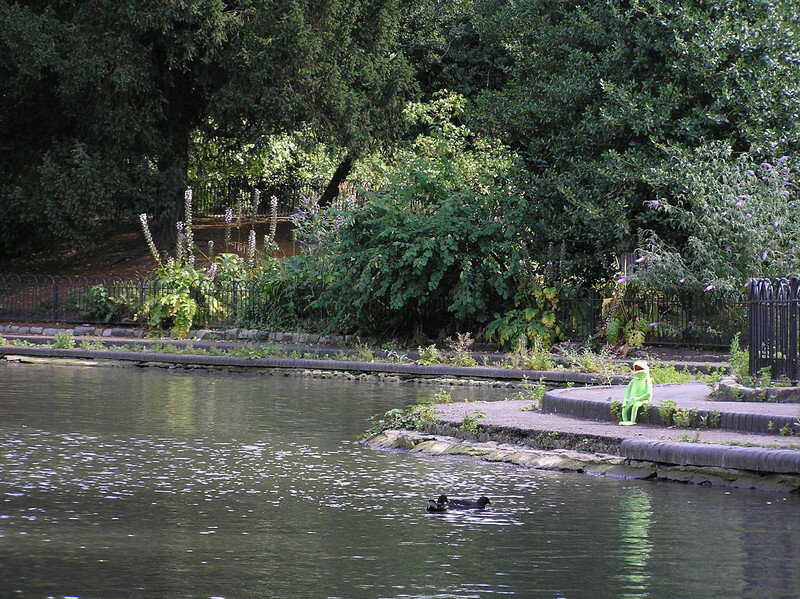 I left Kermit alone by the side of the pond, and my friend and I just watched. 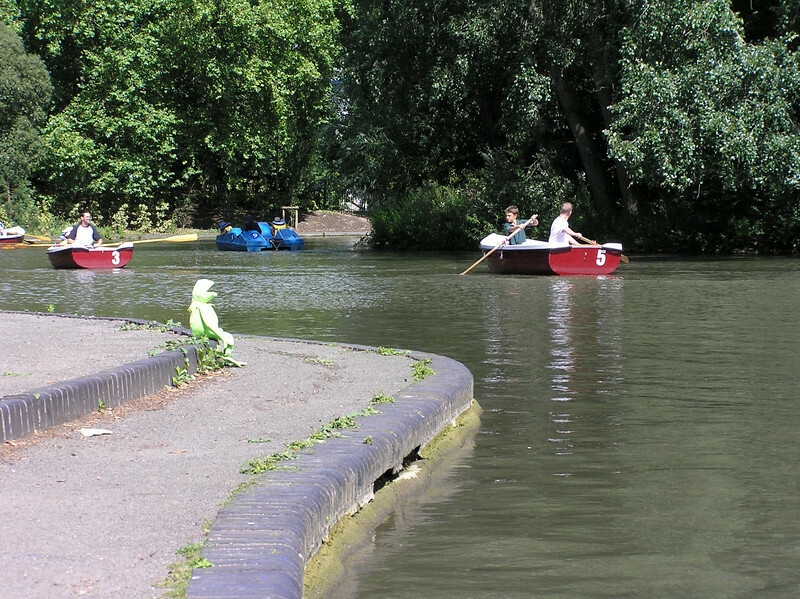 We heard a lot of comments from people rowing or walking by. My friend Jessica gives Kermit a little company. Perhaps consoling him after a confusing night at the Dubonnet Club. 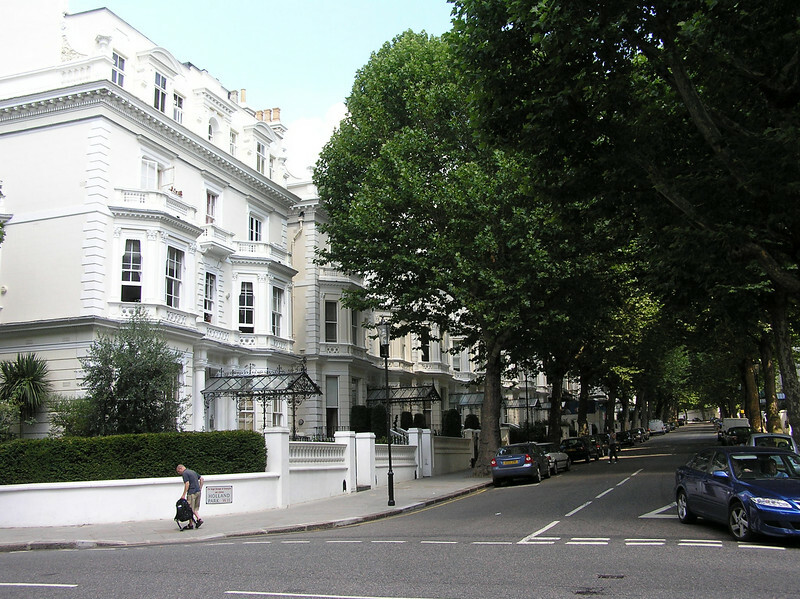 I really do have to thank Jessica though - she had no problem joining me as I took her in circles around Battersea Park. 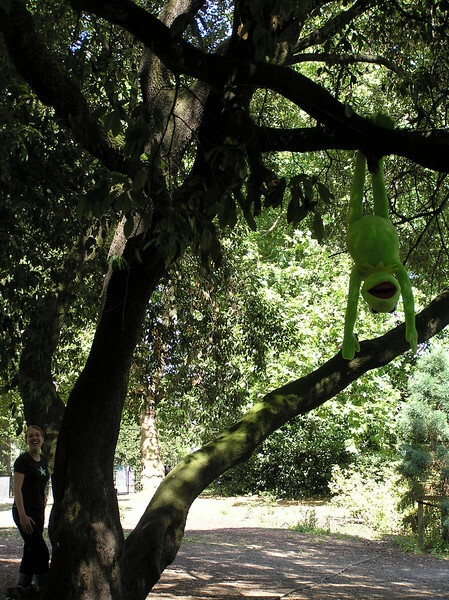 I don't know who he was showing off for this time, but Kermit got stuck in a tree again. "Would you like to buy a watch?" An unflattering photo of me trying to reproduce the Peter Falk scene from The Great Muppet Caper. As you can see, the bench here is much larger than the one in the movie. I'm pretty sure this is the path that Kermit and Piggy were riding their bicycles on as they passed by Statler and Waldorf. I couldn't find an exact match to the movie scene, but the buildings in the background show me I'm close. 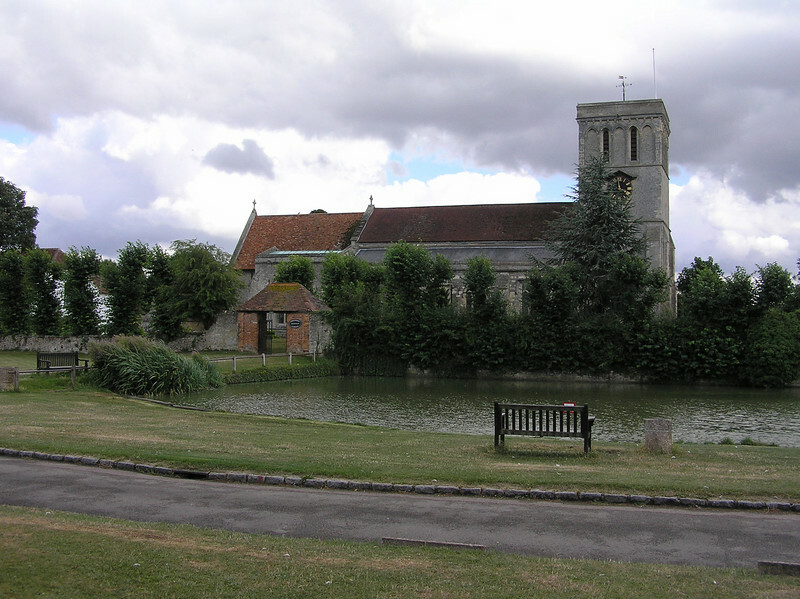 The Holy Trinity church in Haddenham may not be familiar to you, but the church pond should be. About 50 miles outside of London, this is where Kermit, Fozzie and Gonzo landed in England in The Great Muppet Caper. 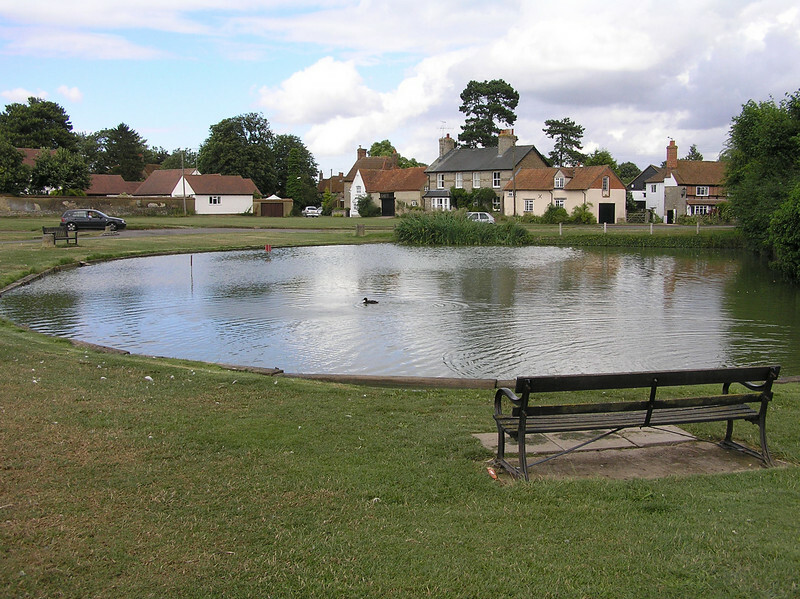 This view of the pond will make it more recognizable than in the previous photo. It looked like the bench used in The Great Muppet Caper (previous photo) had since been replaced. 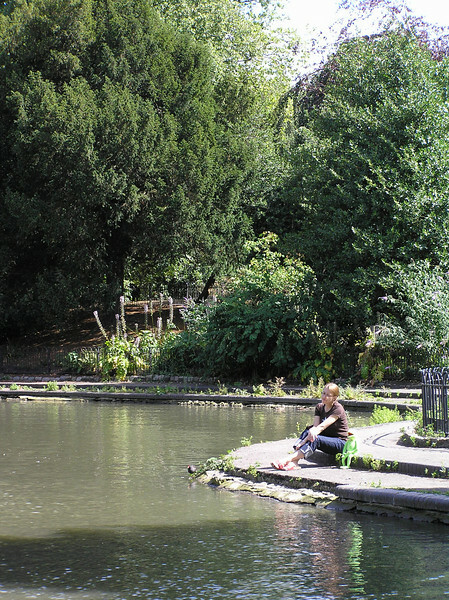 This bench on the other side of the pond is more like the one in the movie.